This barbecue shrimp dish isn't your traditional barbecue. The tomato sauce with seasonings makes for a more savory finish rather than sweet molasses barbecue. 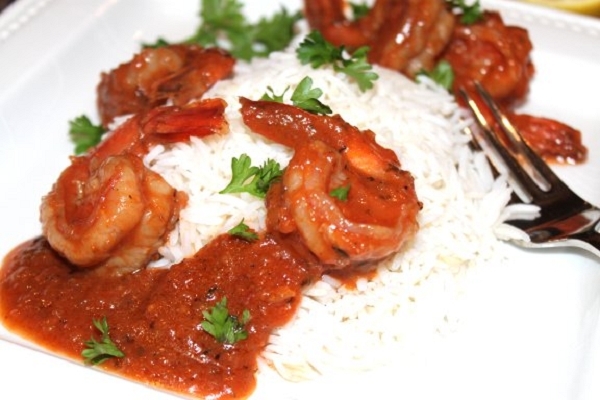 Served with rice it's sure to please shrimp lovers all around. Very easy to make and so delicious! The whole family enjoyed it. This is easy to make, very quick and of course, tasty! 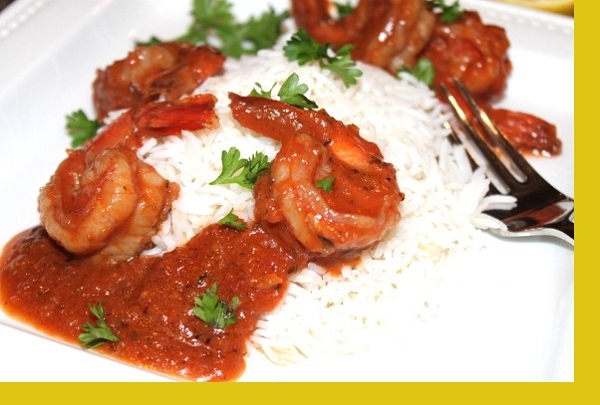 Didn't know if we would like bbq and shrimp, but it's a great combination along with the side of rice.